What can you do with Open Data? Make awesome maps, of course! 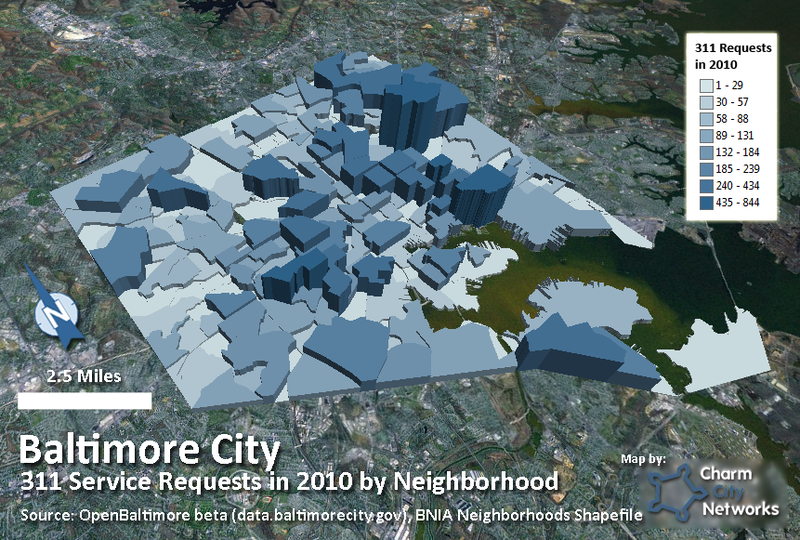 This map was created using Baltimore’s Open Data for 311 Calls. Each call has a street address associated with it, which was geocoded and then spatially joined with BNIA’s shapefile for Baltimore Neighborhoods. This is simply counting the number of 311 requests by neighborhood, but much more is possible when you drill down to the specific type of request, whether requests are still open, etc.